The full programme can be dowloaded here! 7:30am: Procession of the 86 invited 'confréries de Bourgogne' leaving from the panoramic viewing point outside the village. 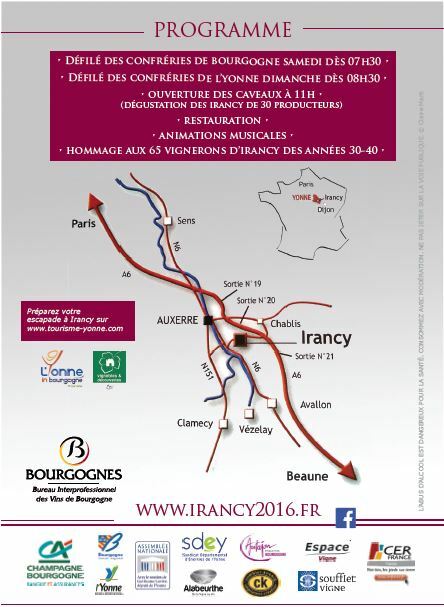 A stop will be made to pay hommage to the monument to the soldiers of Irancy who dies for their conuntry. 11:00am: Ceremonies of investiture to the brotherhood. 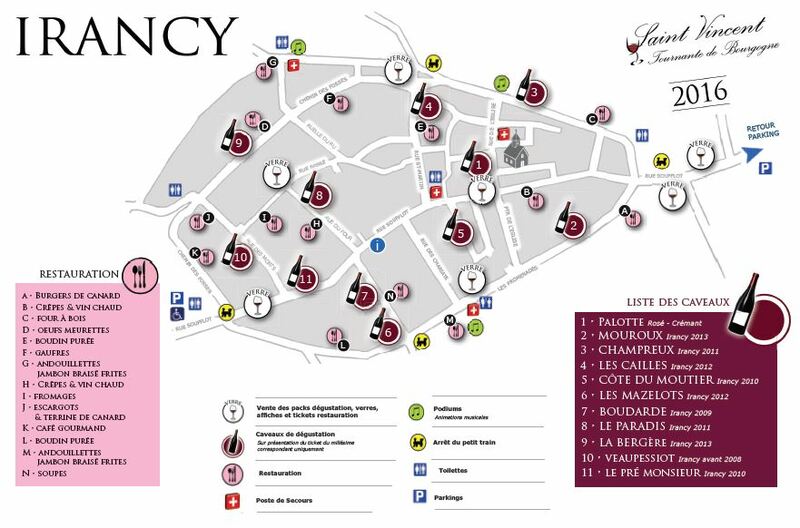 10:00 am to 17:00pm : Wine tasting at several cellars throughout the village. All day Restauration in the village and on the upper promenade. 8:30am: Procession of the local 'confréries de Bourgogogne' leaving from the panoramic viewing point outside the village. A mass willl be held in the village church followed by ceremonies of investiture to the brotherhood. The descent into the village and the village itself will be decorated with flowers, vines and cherries and various themes will be animating the visitors experience throughout the village. Long term parking for camping cars by reservation only: click here!